It has been repeatedly mentioned by all and sundry that the long term effects of using social media are detrimental to one’s mental health, but is it really impossible to stay happy on social media? Many reports have deemed social media platforms such as Instagram to be linked with low self esteem, Twitter with online abuse, and an overall increase in social alienation due to social media addiction. While these studies and reports may be true, one can stay happy on social media by making small changes to your habits such as enjoying a day off from social media every week, and limiting your use of social media platforms. 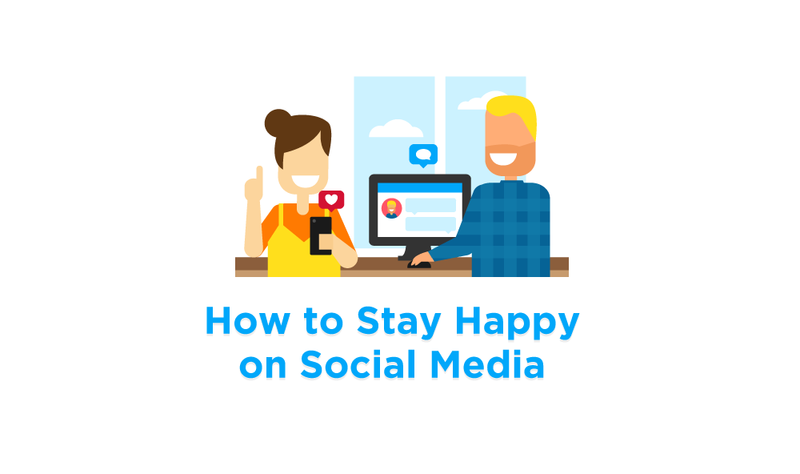 Rein in some positivity in your life with this delightful and informative Infographic that teaches us How To Stay Happy on Social Media.